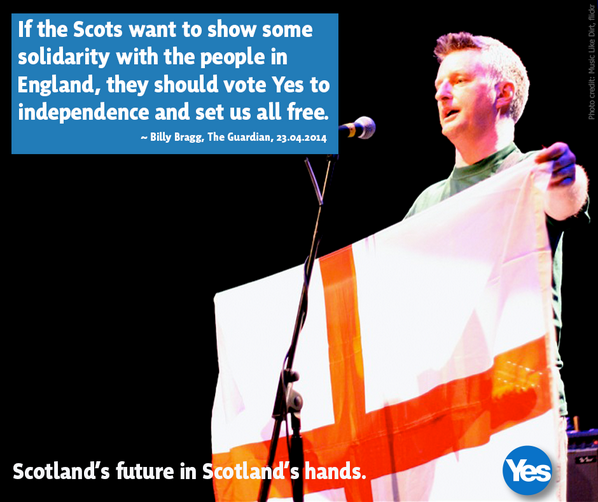 All this week we’re publishing articles by English people who support a Yes vote in September. I have enjoyed taking an active part in Scotland’s great civic society, being involved in community groups and heritage bodies, particularly in Glasgow, and it was my experience of these organisations that swayed me from an instinctive pro-unionist to a supporter of independence. I have seen the power the people of Scotland can harness to change their community for the better and I believe that the future of any nation lies in the ability of its people to work together and that this effort is often best expressed on a small-scale. Scotland has a history of emigration, its people know what it is to seek new horizons while not losing sight of your home. This knowledge seems to best show itself in the ability of Scotland to absorb new communities and to embrace incomers without expecting them to give up their own identities. Although I plan to spend the rest of my life here, raising Scottish children with my Scottish husband, I will never be or feel Scottish and am eternally thankful for the fact that this place is just fine with that. That this nation accepts my contribution, my efforts and my love of the country without expecting me to lose my own heritage and history in a nebulous notion of “Scottishness” is a strong statement of its own self-confidence and abilities. Laura, I looked and thought wow that’s a short article. It makes up for it in potency – like I used to say, not small just highly concentrated. You will still get some neanderthals who visibly don’t like your accent but remember most of us are welcoming ( eat your heart out, Nigel ). .. and yet the cyber trolls would have us painted as Nazis who hate everyone. Not true! This whole notion of independence is about our country and our people, wherever they are from. I care nothing about a person’s ethnicity, I care about the contribution made by each and everyone who lives here. I also care about the people who are unable to support themselves and are suffering because of the unfair policies levied by the Westminster government. We need a radical change in order to sort out the latter!